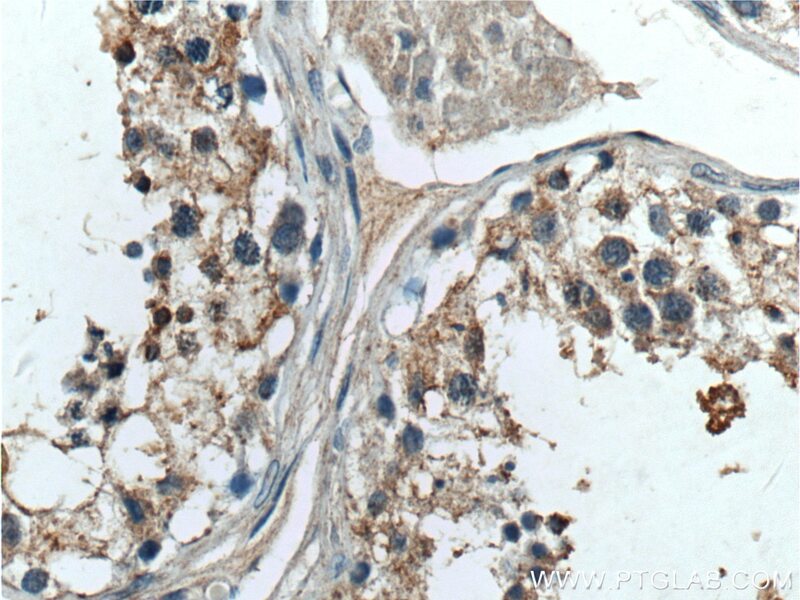 Immunohistochemical analysis of paraffin-embedded human testis tissue slide using 15975-1-AP( TELO2 antibody) at dilution of 1:100 (under 10x lens). 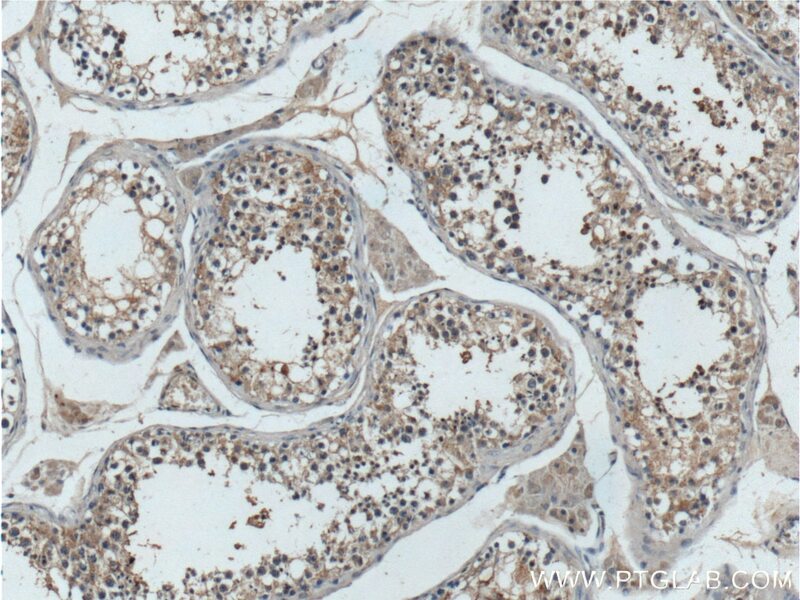 Immunohistochemical analysis of paraffin-embedded human testis tissue slide using 15975-1-AP( TELO2 antibody) at dilution of 1:100 (under 40x lens). IP Result of anti-TELO2 (IP:15975-1-AP, 3ug; Detection:15975-1-AP 1:1000) with Y79 cells lysate 2000ug. 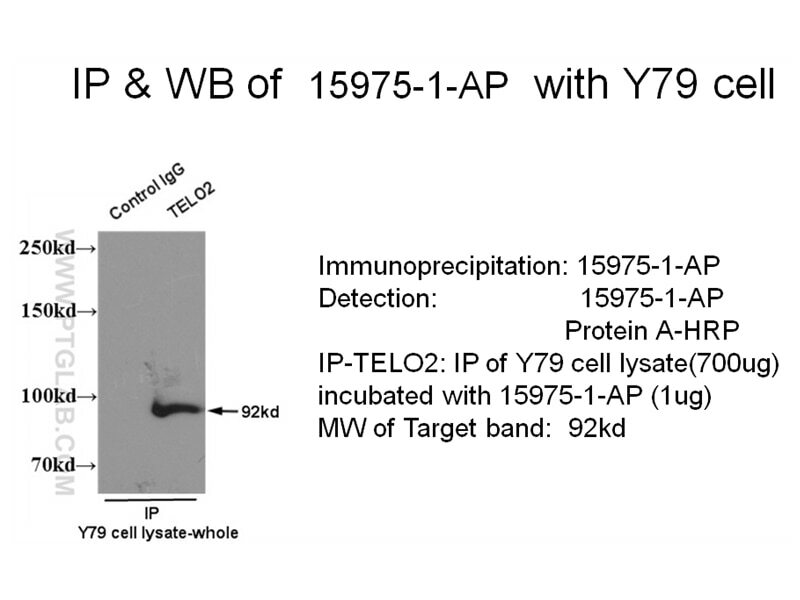 IP result of TELO2 antibody (15975-1-AP for IP and Detection) with Y79 cell lysate. 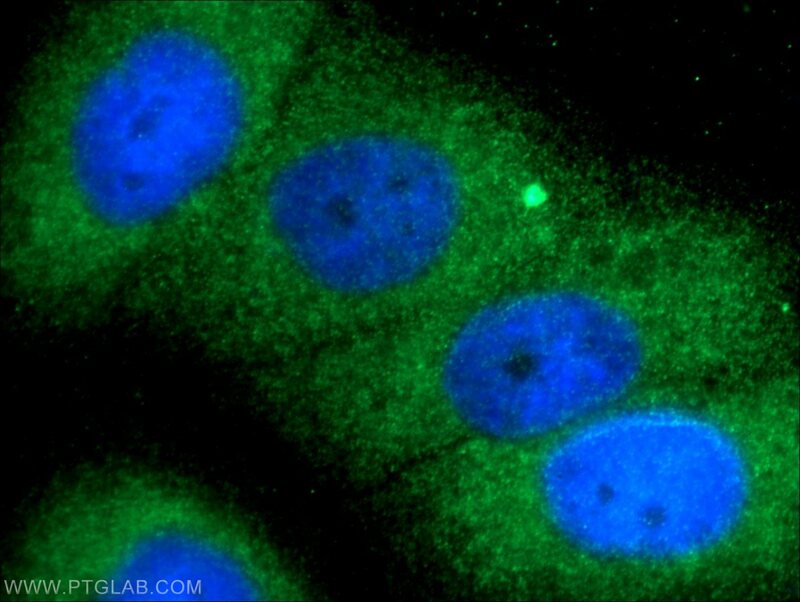 TELO2 gene encodes a telomere length regulation protein TEL2 homolog. TELO2 may be involved in telomere length regulation and can form TTT complex with TTI1 and TTI2. TTT complex is required to stabilize protein levels of PIKK family proteins and is involved in the cellular resistance to DNA damage stresses, like ionizing radiation (IR), ultraviolet (UV) and mitomycin C (MMC). The activity of mTORC1 and mTORC2 complexes, which regulate cell growth and survival in response to nutrient and hormonal signals, can be promoted, stabilized and maintained by TELO2. A genetic screen identifies the Triple T complex required for DNA damage signaling and ATM and ATR stability. Fructose supplementation impairs rat liver autophagy through mTORC activation without inducing endoplasmic reticulum stress. Metabolic stress controls mTORC1 lysosomal localization and dimerization by regulating the TTT-RUVBL1/2 complex. A gain-of-function senescence bypass screen identifies the homeobox transcription factor DLX2 as a regulator of ATM-p53 signaling.